A WORKING GIRL JUST HAS TO BLOW HER LID... 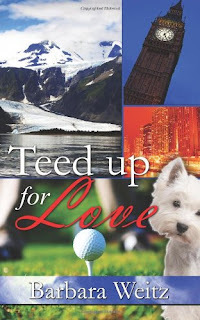 Using her quick wit and take-charge attitude, Miranda Stiltgaard lands a marketing job for Stuart Golf Enterprises in Chicago determined to prove a well-educated girl raised in a small Alaskan town can succeed in a big city. WHEN ACCUSED OF A CRIME SHE DIDN'T DO... Embezzlement of company funds sends aloof London bachelor, Keegan Stuart, roaring into Chicago to ferret out a thief and protect the family business. THEN RISKS HEARTBREAK TO BOOT... Miranda hates that this unreadable Brit sees her as a backwoods frontierswoman dragging bear home for dinner. Or that she's capable of a crime. But if it's a fight he wants, she'll show him how it's done. Never does Keegan expect a woman of fortitude to rock his resolve and steal his heart...a heart he doesn't intend to lose. The events in this book are fast-paced and vary from funny to quite serious. The book is easy to sit down and finish within an hour or two, a very good read for the beach or a long car ride. The characters and plot are very well-developed for a short story, the reader will get to know the characters well enough to be sad to see them go. This book is recommended to adults. Krystal...thank you for the very nice review. I'm so glad you enjoyed the book well enough to be sad to see the characters go. That means I've done my job, which really pleases me. Again, I appreciate the time you spent to read and review "Teed Up for Love".